A Filipino soldier walks as government troops continue their assault against insurgents from the Maute group in Marawi city, Philippines July 1, 2017. The decision was made following various meetings between sports officials and President Rodrigo Duterte and Sports Commission Chairman William Ramirez. The country last hosted SEA Games in 2005. It accepted to become the host of SEA Games 2019 in 2015, after the post was begged off by two other countries. 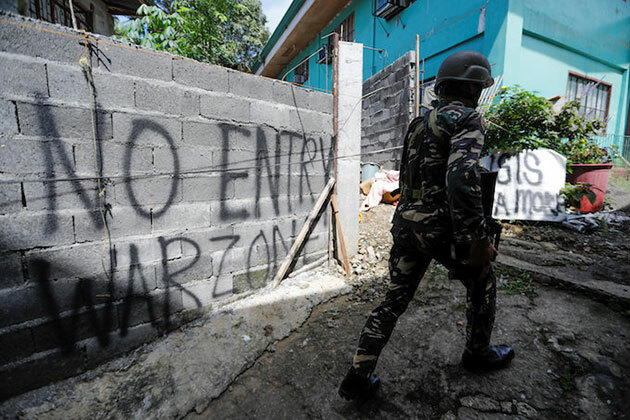 Clashes between the army and militants linked to the self-claimed Islamic State (IS) have taken place in Marawi city with over 200,000 people for more than two months, claiming more than 550 lives./.